Begin with infusing the light rum with the mint leaves. In a small bowl, combine rum and chopped mint. Press down the leaves a bit, or use a muddler. Set aside. Preheat your oven and get your pan ready. In the bowl of stand mixer, mix the butter and 1/2 cup powdered sugar together on medium speed. Mix in 1 3/4 cup of the flour on low speed, just until well combined. Press the dough in pan. It's a really nice soft dough. Very light. Bake as directed or until set and lightly browned. Zest and juice the limes. Set aside these aside. Meanwhile, in bowl of a stand mixer fitted with a whisk attachment, mix the eggs and sugar. Add the remaining flour and salt and mix with whisk until blended. 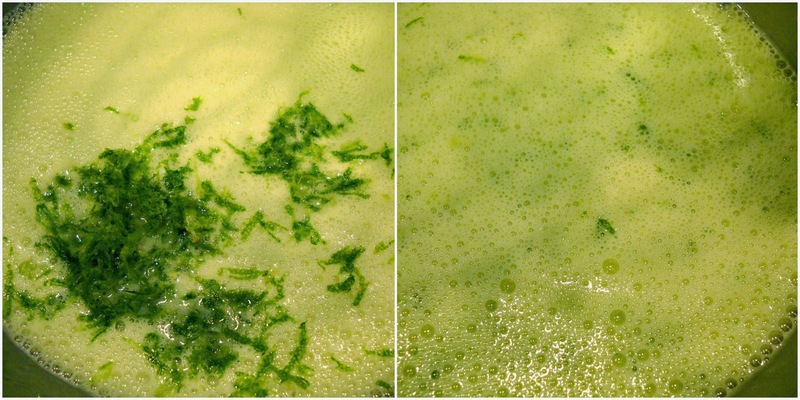 To the egg and sugar mixture, mix in the lime juice, green food color and milk. Place a small strainer over the mixing bowl and pour the rum-mint mixture into the strainer. Press the mixture with back of spoon through strainer to drain the liquid from the leaves. Discard the leaves. Mix the strained liquid into egg mixture until well combined. 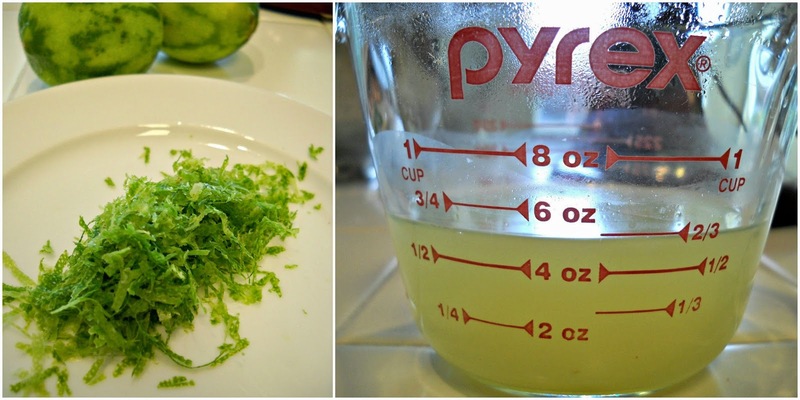 Mix in the lime zest. I always mix in the zest at the end as I don't like how it sticks to the whisk. Just much easier than all the zest gunk. Pour the velvety green lime mixture over partially baked crust. Bake as directed until the center is set. It's important to bake the curd all the way or the middle will be too jiggly and it won't set correctly. Let this cool completely, about 2 hours. For 24 bars, cut into 6 rows by 4 rows. I always cut these type of bars before I sift on the powdered sugar. I find that it makes for a cleaner look to the edges of each bar. Sorta just something I'm trying out on the food decor aspect of blogging and it does help. Sprinkle with powdered sugar. Store bars in the pan until ready to serve, tightly covered with plastic wrap in the refrigerator. I have a very heavy hand on the powdered sugar sprinkling concept. Yeah, just that...A heavy hand. 1. In small bowl, combine rum and chopped mint. Set aside. 2. Preheat oven to 350° F. Lightly spray 13" x 9" pan with cooking spray. In the bowl of a stand mixer fitted with the paddle attachment, mix the butter and 1/2 cup confectioners' sugar together on medium speed. Mix in 1 3/4 cup of the flour on low speed, just until well combined. 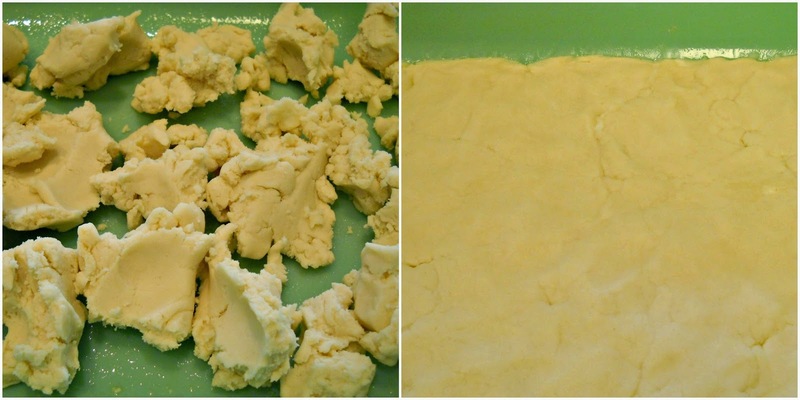 Remove from the bowl and press the dough with your hands into the pan and spread out evenly. Bake for 22 to 25 minutes or until set and lightly browned. Remove from the oven. 3. Meanwhile, in the bowl of a stand mixer fitted with the whisk attachment, mix the eggs and sugar. Add the remaining 1/4 cup flour and salt and mix with whisk until blended. Mix in the lime juice, food color and milk. 4. Place a strainer over the mixing bowl and pour the rum-mint mixture into the strainer. Press the mixture with back of spoon through strainer to drain the liquid from the leaves. Then discard leaves. Mix the strained liquid into the egg mixture until well combined. 5. Mix in the lime zest. Pour the lime curd over the partially baked crust. Bake for 25 to 27 minutes longer or until the center is set, with no jiggles. 6. Cool completely, about 2 hour. For 24 bars, cut into 6 rows by 4 rows. Sprinkle with the remaining confectioners' sugar (to taste) using a sifter. Store bars in the pan until ready to serve. Tightly cover the pan and refrigerate. 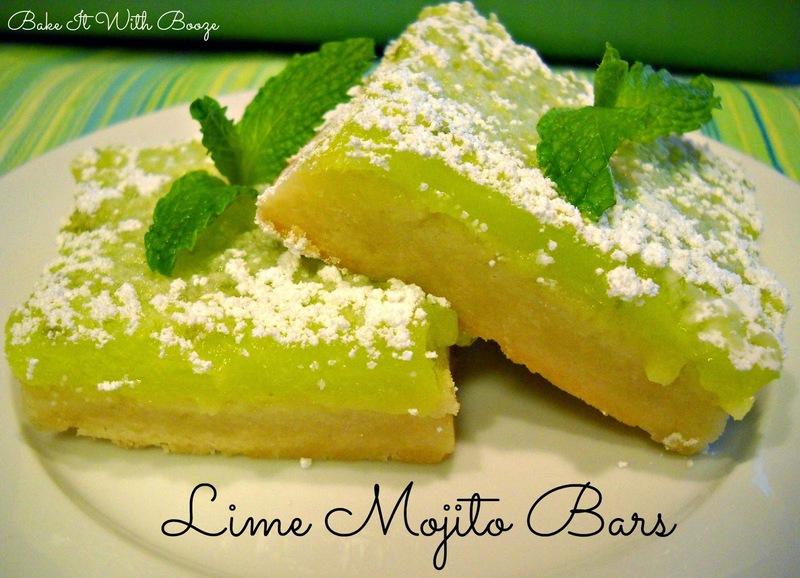 These bars are sure to please and they really are light and bright...Something yummy to welcome in the unseasonably warm weather. Nice to see you posting again too! I would eat that screen if I could! OMG, I'm drooling.